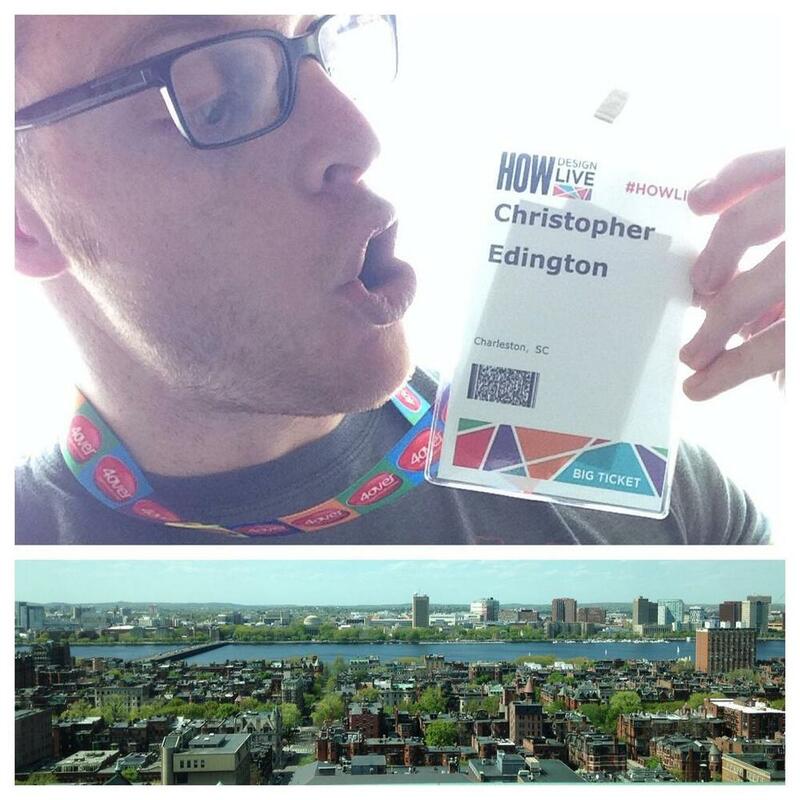 Editor's Note: We recently sent Chris to Boston for the 2014 HOW® Design Conference. Then we decided to let him write about his impressions of the trip. We apologize in advance for any injury that may result from reading his musings. When I first heard SLANT was sending me to Boston for my first ever HOW® Conference, I was super stoked. When I learned I wasn't able to bring my cat, I was less stoked (still stoked however). I get there on Monday morning (cat-less), just in time to attend the first (and one of the only) workshops, Comedy Improv Training for Creatives, it was less about comedy, and more about exercising your creative brain. That broke the ice of meeting people and got the ball rolling for the rest of the week which I shall now highlight for your reading pleasure. 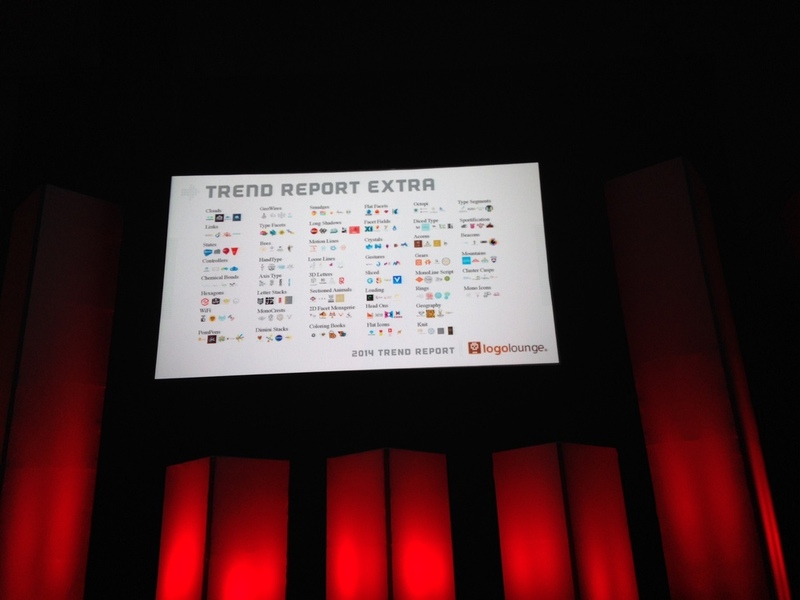 Slide on trends of recent logos from the Logolounge trend report... A sneak peak! I took a lot away from my trip to the HOW® Conference. Inspiration, ideas, tools and friends, just to name a few. I learned that there's no right or wrong way to figuring out a design problem. Almost every speaker had his/her different style to reach the final solution. In fact, I was even relieved to see that my "design heroes" often didn't have all the answers, either. But to see their techniques or practices on how they got to the answer was inspiring. One of the most interesting presentations was given by Sagi Haviv (a partner at the long time ad agency Chermayeff & Geismar & Haviv). He talked about his agency's approach to rejections from large clients like Chase Bank, University of New Hampshire and Conservation International, just to name a few. He talked about dealing with clients, dealing with unruly criticism from the design community and how to work around that. I'll be honest, as much as I don't enjoy seeing ideas get run through the ringer, it was exciting to see even some of the largest ad and design agencies in the country face the exact same problems we do. It gave me a sense of comfort knowing that I'm doing something right. If I gained one big thing from this conference, it was confidence. I always wondered if my creative process was amateur or menial. But seeing how the pros approach things has given me the confidence in my process and that everybody's process is their own. Overall, the experience at my First HOW® Conference was a very positive one. I'm excited to be back in action at SLANT and plan on using what I learned to make SLANT the best damn Creative Design + Marketing firm it can be. 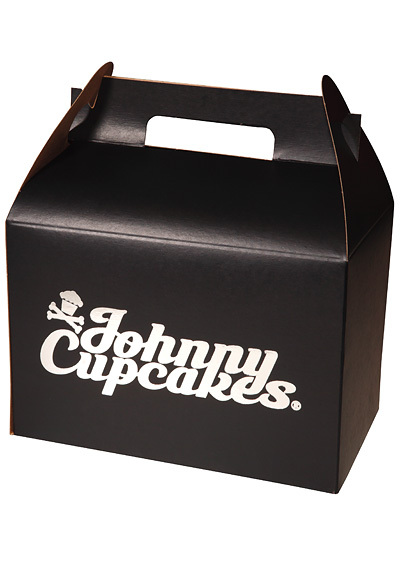 Nabbed some Johnny Cupcake swag... with a side of shameless self promotion. Me and Riley Cran. Contrary to what it looks like, he really didn't mind me taking this picture with him. The speakers at the conference were pretty incredible. The design legend Bob Gill gave a funny, yet insightful presentation on his life as a designer and the do's and don'ts he's discovered throughout his career. There was Maria Popova, Dana Tanamachi-Williams and Andrew Gibbs to literally name just a few. As a designer, I mentioned earlier I had "design heroes", these are designers that I like to follow and keep up on their work. I was able to see a lot of these people speak. Aaron Draplin gave an awesome presentation on older logos and how to use "Treasures from the American Underbelly in Your Work". Riley Cran (founder of Lost Type Co-op) was another awesome designer to see speak, he talked about the evolving communication between designers, and how past designers were able to collaborate without the convenience of Twitter and Dribbble. Johnny Cupcakes shared his story about how he went from selling shirts from his trunk to having stores in Boston, LA, and London. And about how his brand is more about the experience as opposed to the product he's selling (i.e. presenting his shirts in an old bakery display and putting your shirt in a cupcake box when you check out). 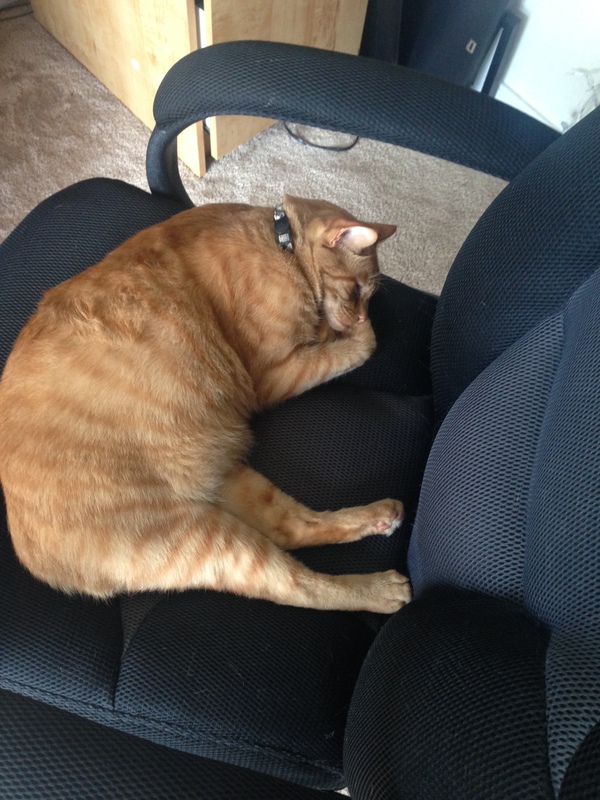 I could go on, but eventually I have to do some work today. I had a variety of great brew, but nothing beats the original. Im not a Boston sports fan by any measure, but it was cool to be in the city while the Bruins were hosting Montreal in a Game 7 of the Stanley Cup Playoffs. 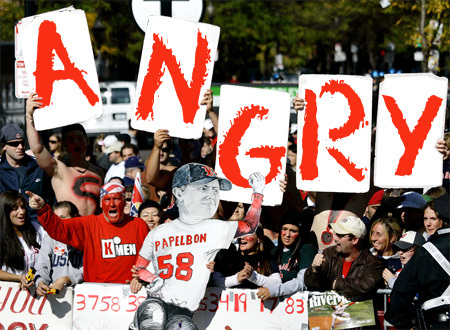 I thought Bostonians were naturally angry people, until I witnessed the Bruins losing game 7, that was like a whole new level of angry. Pants Update: Pants are HIGHLY encouraged at the HOW® Conference. You're welcome. They had a banner... That's how I knew this was a big deal.